Attorneys Fermin M. Mendez, Maureen E. O’Brien, and William L. Thompson have joined the Varnum law firm as associates. Previously, Mendez clerked at Ford Motor Co., working on exploration of the legal implications of connected vehicles. He has served as a legal intern for the New Jersey Institute for Social Justice in Newark and worked in the Morris County prosecutor’s office in Morristown, New Jersey. 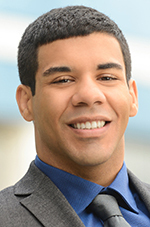 Mendez will work in the firm’s Novi and Detroit offices. Mendez, of Ann Arbor, is a graduate of University of Michigan Law School and Harvard University. While attending law school, he served as a student attorney for the Michigan Law Entrepreneurship Clinic in Ann Arbor. O’Brien’s served as a judicial intern for the U.S. Court of Appeals for the Third Circuit (Pittsburgh) and provided research assistance at the University of Iowa College of Law. She also served as a judicial intern for the Circuit Court of Cook County in Chicago. O’Brien will be based in Varnum’s Grand Rapids office. O’Brien, of Grand Rapids, is a graduate of the University of Iowa College of Law and received her undergraduate degree from Michigan State University. She also studied at Regent’s College of London. Thompson, of St. Clair Shores, served as a judicial intern for the Honorable Sean F. Cox of the U.S. District Court for the Eastern District of Michigan. 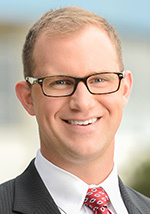 Prior to his legal career, Thompson was a member of DTE Energy’s Renewable Energy Projects team as a real estate analyst. He also served with the U.S. Marine Corps. Thompson will split his time between the firm’s Detroit and Novi offices. He earned his undergraduate degree from Wayne Sate University and his juris doctor from Wayne State University School of Law.